The key thing to remember about Hyde Fundraisers is we are all volunteers, everyone gives their time free of charge and for the majority of events we attend cover our own expenses. This is also true for the characters we create where people have, at their own expense, had masks or costumes created which they utilise at some of the varied events we attend each year. We were delighted to have featured on Blue Peter three times with our characters in 2000, 2003 and 2006. 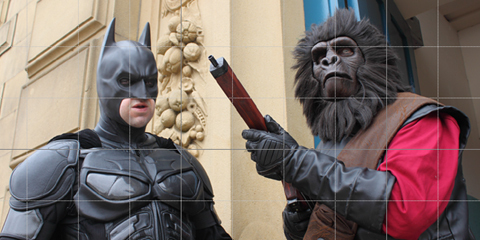 From 2013 until 2015 we displayed our replica characters at the Spaceport attraction in Merseyside. The BBC invited Hyde Fundraisers to appear in their flagship soap Eastenders in 2008 with our Cybermen at St Pauls cathedral. 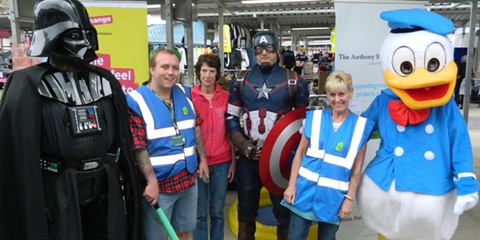 During 2000-2005 Hyde Fundraisers organised the popular SCI FI WEEKENDS in Ashton-under-Lyne. When Doctor Who returned in 2005 the group supported the official BBC Dr Who UpClose displays including Cardiff & Newcastle. 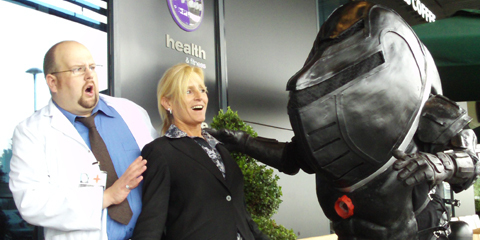 The group have appeared at the National Space Centre in Leicester several times with their characters. 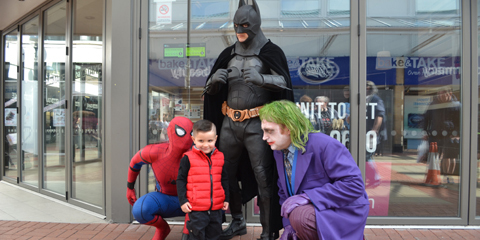 Cineworld in Ashton -under-Lyne invited Hyde Fundraisers to their 50th anniversary Dr Who screening THE DAY OF THE DOCTOR. We appeared several times to support concerts with the Liverpool Philharmonic including one with Elisabeth Sladen. In the early 1990's the group supported ITV's Telethon fundraising event. This enabled the iconic Daleks to invade Coronation Street. 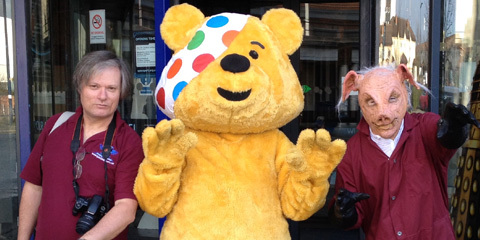 The group have consistently appeared on BBC Children In Need each year to present funds to the appeal since 1985. Selfridges at The Trafford Centre have invited both Dr Who and Star Wars characters to their store for themed events. 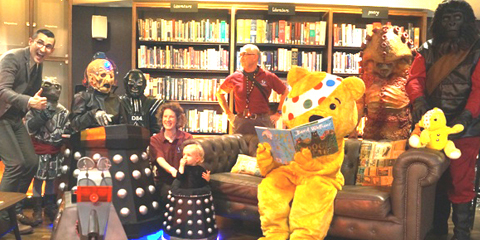 Over the years we have supported many library based events including The Word in South Shields. In 2007 we organised a themed evening with MOSI linking with their Dr Who Upclose exhibition with special guest Don Gilet. Thank you to everyone who has donated and supported Hyde Fundraisers over the years to help us put the FUN into fundraising!